Student interns commit to a minimum of five hours a week. Those selected to participate in the program will be expected to attend approximately fifteen hours of training, some of which will be on weekends. Client telephone intake will begin as soon as the initial training is completed. Applicants are encouraged to commit to at least two quarters in the program. Application: You may apply to be an MMP intern by submitting a cover letter, resume and class schedule to Ann Spangler at gatespsl@uw.edu. Please include “MMP” in the subject line of your e-mail. Applications are due no later than 5:00 on Friday, October 4. This program is open to 2Ls and 3Ls in the fall. 1Ls can participate in the spring. For program questions please email Chach Duarte White, Interim MMP Attorney. Reminder to Public Service Focused 2Ls & 3Ls: It’s Coach Switch-a-roo Time! 3Ls: Now that you have survived two years of law school you can officially switch from working with Aline Carton-Listfjeld as your career coach and start working with Assistant Dean Michele Storms on public service career planning and professional development. Lucky you! Aline primarily works with 1Ls and 2Ls whereas Dean Storms primarily works with 3Ls. Don’t fret, we always ensure the smoothest of transitions to make sure that Dean Storms is fully up to speed on everything going on for you! Keep in mind that Aline is available as a backup if you need immediate assistance and Dean Storms is unavailable. To schedule an appointment with Dean Storms please email Ann Spangler at spangler@uw.edu. Please do not attempt to schedule an appointment with Dean Storms through Symplicity. 2Ls: Welcome back! Now’s a great time to start scheduling appointments with Aline. The best way to schedule is through Symplicity. Reminder: If your career plans have shifted with more of a focus towards private sector opportunities, please let us know and we will help you connect with a career coach with Center for Professional and Leadership Development. Wishing you all a great quarter! The Olympia Quarter Fellows Program provides a select group of students from the University of Washington Law School and the Evans School of Public Affairs the opportunity to discover how legislation, regulation, and judicial decisions work together to create Washington law and public policy. Program participants will develop practical legal and policy making skills through full-time externships in the judicial, legislative, and executive branches of state government. Placements are also available in local government offices and with non-profit organizations. Students will work in their externship placements during the University of Washington’s Winter Quarter, which coincides with the regular session of the Washington State Legislature. Justice Gerry Alexander, who retired from the Washington State Supreme Court at the end of 2011, is expected to teach the required General Externship Perspectives for students doing externships in Olympia during Winter Quarter 2014. 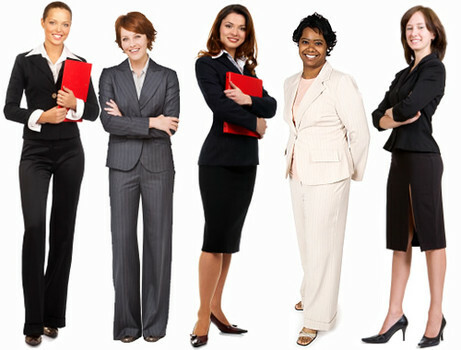 Examples of available placements include the following: Washington Supreme Court, Office of the Governor’s General Counsel, Washington Attorney General’s Office, State Representative Gerry Pollet, Thurston County Office of Assigned Counsel, Thurston County Prosecuting Attorney and Columbia Legal Services, Olympia Office. 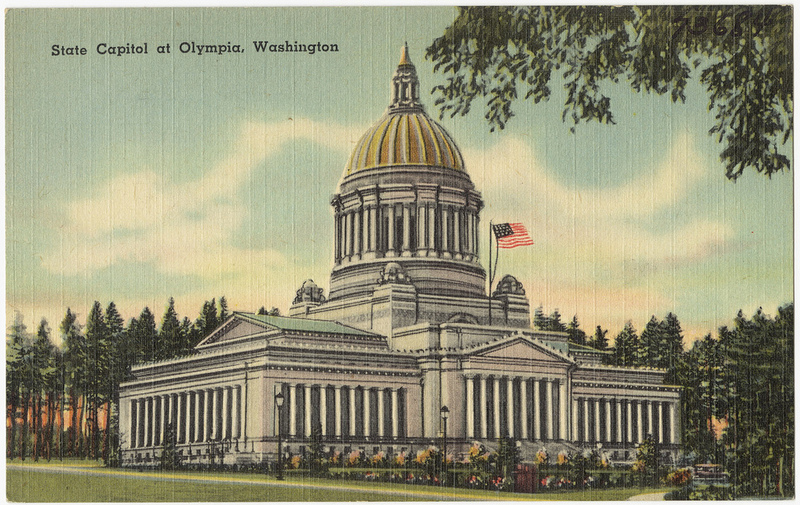 If you are interested in taking an externship in Olympia during Winter Quarter 2014, please contact Esther Park at ejp@uw.edu. Volunteers needed for QLaw Foundation’s 8th Annual FallTacular! Event Description: 8th Annual FallTacular to support and celebrate the QLaw Foundation’s endeavors—including public interest law grants, the GLBT Legal Clinic, and Project OUTReach: community education programming. As the QLaw Foundation’s only annual fundraiser, the FallTacular is vital to the continuation of these programs. The annual fundraising event and is attended by over 150 attorneys, judges, elected officials, and business professionals. Event Details: FallTacular will be held on Tuesday, October 10 at the Bertha Knight Landes Room at City Hall, 600 Fourth Ave, Seattle. Volunteer Details: We need 8 volunteers total: 4 to volunteer from 5pm to 7pm and 4 to volunteer from 7pm to 9pm. Volunteers will assist with registration and other tasks. Volunteer Benefits: Volunteers are welcome to stay for the entire event (tickets are normally $40). This is an excellent opportunity for networking with the LGBTQ legal community. 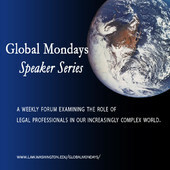 For more information on QLaw Foundation or the event please visit click here or email Nicholas Oakley . To sign up: Please email Nicholas Oakley with your name, email address, phone number, and the time slot in which you can volunteer. Nasrin Sotoudeh, a prominent human rights attorney and this year’s recipient of the ABA International Law Section’s International Human Rights Award, has been released from prison in Iran. Ms. Sotoudeh was serving six years in prison for endangering national security and misusing her profession as a lawyer. On the eve of a visit by Iran’s moderate president, Hassan Rouhani, to the United States, the Iranian authorities on Wednesday unexpectedly freed 11 of Iran’s most prominent political prisoners, including seven other women and three men. The ABA Justice Defenders Program and Amnesty International along with the International Human Rights Committee this past year had been a supporter urging for her release. Learn more here. Location: Sheraton Seattle Hotel – Cirrus Ballroom, 12400 Sixth Avenue, Seattle, WA 98101 For more info please click here. About the Program: The 2013 WOA program has been designed to provide our Latina membership with professional development and networking opportunities where they can learn more about effective leadership through influence, and incorporate influencing techniques in their professional and personal interactions. 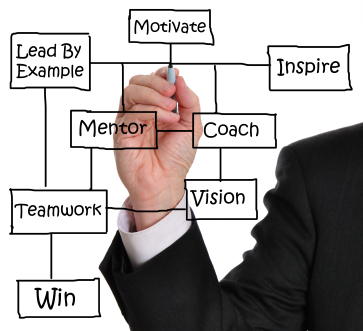 The program serves as a foundation to create a road map to break into leadership by developing influencing skills. Aligned with ALPFA’s Perpetual Connectivity Model, the program is relevant to all ALPFA members at any level in their careers: Students, Mid-level Professionals, and Senior Executives. About Women of ALPFA: Women of ALPFA empowers Latinas and women to reach their Full potential. Through targeted programs, access to opportunities and exposure to senior leaders, we provide a road map to strengthen leadership and management skills that fosters both professional and personal development. TICKETS: Tickets are FREE. RSVP to info@reclaimingprosperity.org. Priority given to RSVP list. Plan to arrive early to ensure a seat. Due to high interest, we cannot guarantee a seat. EVENT: Special preview screening of the documentary film INEQUALITY FOR ALL. With Robert Reich as our guide, the feature film explores the causes and consequences of the widening income gap in America and asks what it means to the future of our economy and our nation. WHEN: Monday, September 23, 2013, 7 p.m., Doors open at 6 p.m. This is the fourth event in a new and ongoing event series presented by Town Hall called Reclaiming Prosperity, focused on transforming our economy and building a prosperous future for working people and their families. Don’t miss out on the wonderful opportunity to kick start the beginning of your legal career by connecting with members of our local legal community and your assigned professional mentor. 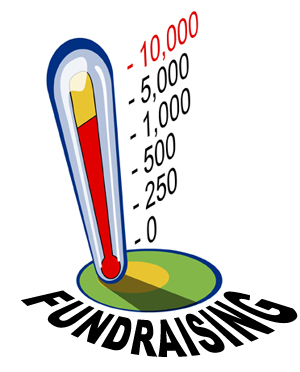 Come join us at our Annual Reception and fundraiser on Friday, October 4 at FareStart Restaurant in downtown Seattle. The festivities will begin at 6pm, and the evening will include a South Asian inspired meal (including dessert), a full bar, and most importantly, the chance to unwind and spend time with old friends and make new ones. This year, we will be honoring the achievements of the members of our legal community. In particular, we will have a brief program featuring Judge Ketu Shah, Judge Susan Amini, Rep. Cyrus Habib, and Gaurab Bansal (former counsel for Obama for America). This year’s event is on a Friday, and so we’ve invited a DJ and will be moving to an after-party nearby so that the fun can continue as long as you can! Tickets are $65/person (and include food and one drink ticket). Buy your tickets today! 100% of the profits from the Reception will be reinvested in SABAW’s programs, most notably our award winning scholarship program (which fund summer public interest grants!) Learn more about SABAW here. The staff at the Center for Public Service Law (CPSL) are delighted to welcome you to the UW Law. We look forward to meeting you and helping you on your journey to building a successful career in public service; environmental justice; civil, human, workers, and immigrant rights; and everything in between. To get get late breaking updates on public service relating programming, events, announcements and jobs, click on the “follow” button on the right hand tool bar. To learn more about all of CPSL work click here. The Washington Leadership Insitute (WLI) is a collaborative leadership training program administered by the WSBA and the University of Washington School of Law. The mission of the Washington Leadership Institute (WLI) is to recruit, train, and develop minority and traditionally underrepresented attorneys for future leadership positions in the Washington State Bar Association and legal community. We strive to recruit fellows for each class who reflect the full diversity of our state, which includes race, ethnicity, gender, sexual orientation, disability, and geographic location.Download the application packet for more information and to apply. The Center for Public Service Law is pleased to announce our first-ever public service/public interest city visit to the nation’s capital! Many of you know or have participated in past public service city visits to San Francisco. 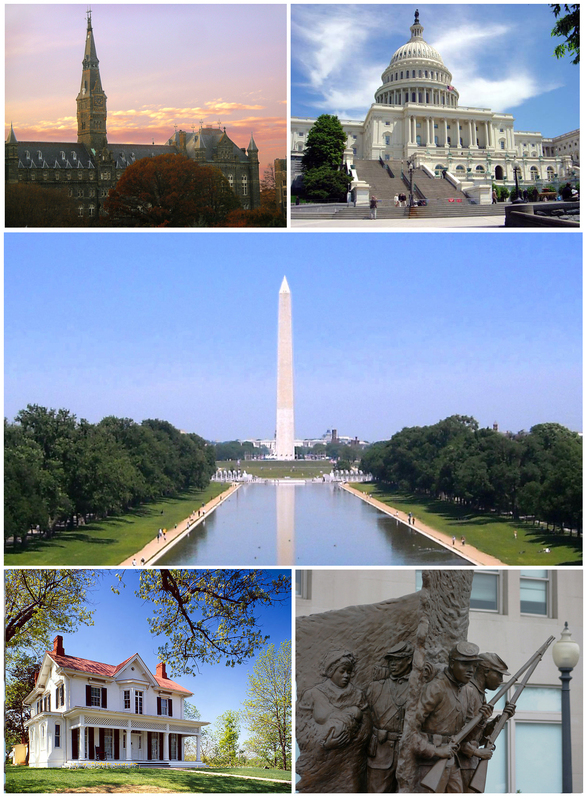 We’ll still go to San Francisco in January 2014 but due to student demand we are going to Washington, D.C. this fall. On Friday November 8 we will visit four agencies: the White House Council on Environmental Quality, the Department of Justice – Civil Rights and the Senate Judiciary Committee are all confirmed and a fourth organization (it will be a nonprofit) will be confirmed shortly. The trips are at student expense although the Center will be able to offer between $150-200 as reimbursement for actual travel costs to students who request it. The Center will also host lunch on the 8th. These visits are a great opportunity to learn more about places you might wish to apply for intern/externships or post graduate work. At each visit you’ll have the chance to learn about the organization and ask questions of an employee. We are excited that UW Law alums employed by these organizations will be present to greet you and share their experiences as well. 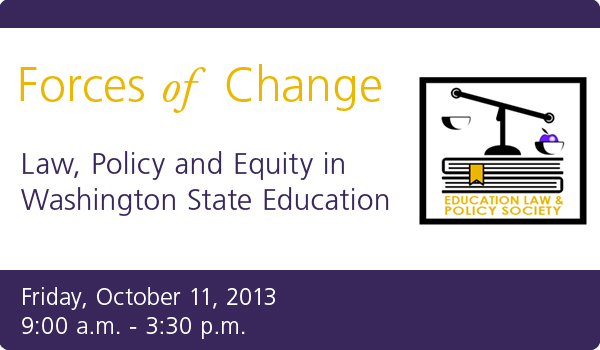 If you are interested in attending send an email to gatespsl@uw.edu addressed to Assistant Dean Storms by October 9. Your email should include a copy of your resume and a short explanation of why you wish to attend. Because we need a minimum of 5 people to confirm the trip early applications are welcome. You should also be prepared to confirm your attendance as we will cap the number of students at 10. If there are any questions please direct them to Dean Storms. An important legal victory for the Northwest Immigrant Rights Project , the ACLU of Washington and the Alliance for Equal Justice that became final this week. In a case described in more detail below, the state court made it clear that the Washington State Constitution “forbids local enforcement officers from prolonging a detention to investigate or engage in questioning about an individual’s immigration status, citizenship status and/or national origin.” We hope this ruling will put other local law enforcement agencies on notice about the scope of their authority. You can view the court’s order on NWRIP’s website and scroll to the end of the press release.There’s also an article on the case appearing on the Seattle Times. A Botswana court made history Tuesday by upholding the right of women to inherit under customary law and rejecting the tradition of males as sole heirs, according to a report in The Maravi Post. In a case heard by the appeals court in the capital city of Gaborone, the issue was whether daughters can inherit family property under customary law that long has held only males had the right of inheritance. Edith Mmusi, 80 years old, argued that since she lived in the ancestral family home, and she and her sisters had invested in improving it, she and her three sisters should inherit it. Her claim was challenged by a nephew’s assertion that, as the male heir, he should inherit the homestead, although he had never lived there, because his father had been given the home by a male relative. The judges unanimously ruled in favour of the four sisters, rejecting a long history of customary law that favoured males in inheritance matters. “The judgment today by the Court of Appeal made it clear that women are not second class citizens in Botswana,” said Priti Patel, deputy director of the Southern Africa Litigation Centre (SALC), which supported the sisters’ case. Continue reading here. Alan R. and Barbara D. Finberg Fellowship – Established in memory of Alan R. and Barbara D. Finberg, early supporters of Human Rights Watch (“HRW”), this fellowship is open to recent graduates (at the Master’s level) in the fields of law, journalism, international relations, or other relevant studies. Graduates with LL.B. degrees or advanced degrees in other relevant disciplines may also be considered. Fellows typically work full-time in Human Rights Watch’s New York or Washington, D.C. office or in some instances in another location. The NYU, Sandler, and Finberg Fellows work full-time for one year with Human Rights Watch. Past fellows have conducted research and advocacy on numerous different issues in countries all over the world. Recent examples include projects on: police corruption and access to justice in Liberia; accessibility for people with disabilities in Russia; youth in solitary confinement in US prisons; hazardous child labor in artisanal gold mining in Tanzania; police abuse of gay men in Kyrgyzstan. The Washington Office of Administrative Hearings is seeking applications for pro tem or full time ALJs working out of the Tacoma and possibly Seattle offices. Pro tem is very flexible scheduling and where ALJs can hold hearings by phone (from home!) even though technically working out of the Tacoma office. They have an “open posting” we know they need to hire in the near future. An Administrative Law Judge (ALJ) may conduct several types of hearings, including, but not limited to child support, public assistance, unemployment insurance, professional licensing, and other government benefit or regulatory programs. Hearings vary in complexity. Some, like toll violation appeals, involve fast-paced, high volume work with minimal decision-writing. Others relate to agency regulatory activities and may involve hearings over several days, substantial motion practice, and complex legal issues. ALJs are expected to manage the variety in case type and complexity. ALJs provide high quality and timely administrative hearings and decisions pursuant to RCW Chapter 34.05 and other applicable laws consistent with the requirements of due process. ALJs provide courteous and fair treatment to all concerned. The ALJ works as called upon to support and carry out the agency mission, vision, values, and goals. The Southern Poverty Law Center offers summer internships to exceptional second year law students who possess strong academic backgrounds, excellent research and writing skills, and a commitment to public interest law. The Center is a national non-profit organization dedicated to reducing bigotry and oppression through education and litigation. Our Legal Department focuses on cases involving the rights of children, prisoners, immigrants, the LGBT community, victims of hate crimes, and issues affecting economically disadvantaged communities. Interns in the Montgomery office will work primarily on issues affecting children, prisoners, the LGBT community, and economically disadvantaged communities. Summer interns assist Center attorneys, advocates, and paralegals with significant legal research and writing, field investigations, outreach, and public policy advocacy. Interns receive $700.00 per week. Start dates are somewhat flexible, but interns are expected to begin sometime in early June 2014. A minimum commitment of ten weeks is expected. To apply, please submit a cover letter, resume, transcript, a writing sample (no longer than 10 pages), and the names and phone numbers of two references no later than October 25, 2013, to https://home.eease.com/recruit/?id=6462791. The Center expects to select interns by early December 2013. Due to the high volume of applications received, we are unable to respond to inquiries by telephone. The Center for Popular Democracy (CPD) is a high-impact national organization based in New York City that promotes equity, opportunity, and a dynamic democracy by partnering with grassroots organizations around the country to build community power and transform the state and local policy landscape. Working in the areas of immigrant rights and racial justice as well as economic and community justice, CPD provides legal and strategic support on state and local legislative campaigns that advance a pro-worker, pro-immigrant, racial justice agenda. We also collaborate with established and emerging grassroots groups as they develop and refine their community organizing methodology and internal management, fundraising, and communications infrastructure. We currently are engaged in 90 projects in 26 states. Our team of nine attorneys and law graduates provides policy, legal, and strategic support on wide array of legislative and administrative campaigns. In addition, interns will conduct campaign research that informs strategy and produce related materials such as draft legislative language, proposal summaries and op-eds. Learn more about CPD and this internship through this PSJD posting here. Application Instructions: Current 2Ls should submit a resume, cover letter, legal writing sample and three references to Brittny Saunders at bsaunders@populardemocracy.org, with “Internship in Community Lawyering and Policy Innovation” in the subject line. Applications should be submitted by October 15, 2013 and will be reviewed on a rolling basis. Candidates should also complete our online form at the time that they submit their applications. You must submit the written materials AND fill out the online form in order for your application to be considered complete. Law Student Union Summer (LSUS) is a unique and exciting 10-week internship for law students that combines front-line, labor-related public interest legal work with grassroots organizing in ongoing campaigns by AFL-CIO-affiliated unions throughout the country. Responsibilities may include interviewing workers and drafting memoranda with factual and legal analysis in connection with presenting evidence to the National Labor Relations Board in unfair labor practice investigations and administrative hearings or to similar state public sector agencies. Labor-related public interest work may be performed in connection with issues that may arise during organizing or contract campaigns, such as: wage and hour violations, discrimination claims, immigration issues, environmental regulatory actions, whistle-blower protections and/or others. Organizing activities, including canvassing, planning and implementing solidarity-building activities and participating in meetings and home visits, are another primary component of the program. Travel may be required; work will vary from placement to placement; students may be based in an organizing office, local union, national union headquarters or law firm.